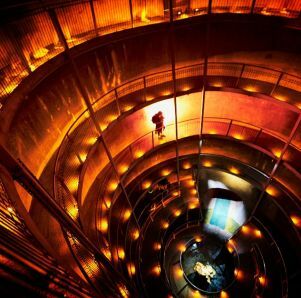 Waitomo is a world-renowned destination and one of New Zealand's top tourist attractions. Famous for its high population of glowworms, but there is so much more to it than that! As a region, Waitomo has built its reputation on the sheer beauty and scale of its subterranean landscape. But above ground other Waitomo recreational pursuits on offer are almost as impressive. Time holds more here. Discover magic, wonder and adventure all in one unique place - a place that is very special to the people who live here. Waitomo is a Maori word made up of two parts, 'Wai' which translates as water and 'tomo' which means entrance or hole. 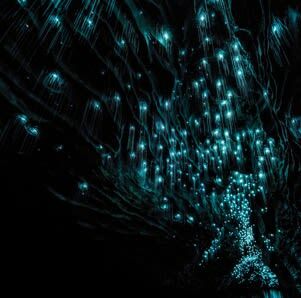 Waitomo can be translated as the 'stream which flows into the hole in the ground'. As a region Waitomo has built its reputation on the sheer beauty and scale of its subterranean landscape. 30 million years ago the entire Waitomo region lay far beneath the sea. 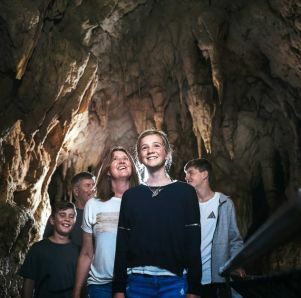 Today, both above and below ground, it stands as a revealing testament to a landmark period in New Zealand's and the world's natural history. 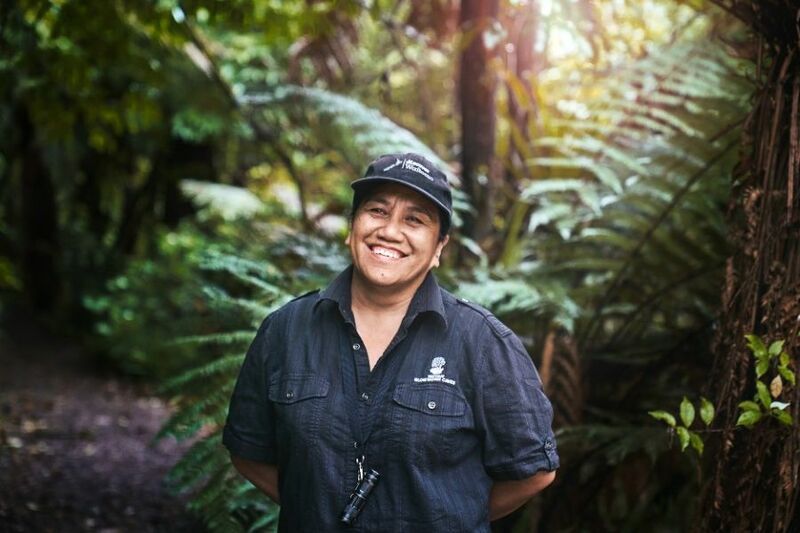 Our crew is bound to this place, as a living entity and provider, our caves are a precious taonga (treasure) for us and our community. In our beginning, the tears of our sky father Ranginui fell as rain to the ground, tears of his yearning for our earth mother papatuanuku...these droplets became rivulets that flowed through the earth to form our cave systems...and it was in this separation of our sky father and earth mother that we began to move out of the darkness. But before the warmth of the sun appeared the last light of the night was that of the glowworms. They were the last lights that the siblings of Tane Mahuta saw before it all changed and we became who we are today. Their light reflecting and dancing on the water that created these caves is written into our history. Today the wairua of our beginning still flows through the sky, land, rivers and caves of this place. The caves were first explored in 1887 by local Maori Chief Tane Tinorau accompanied by an English surveyor Fred Mace. Discover Mother Nature’s exquisite interior decorations inside Aranui Cave.